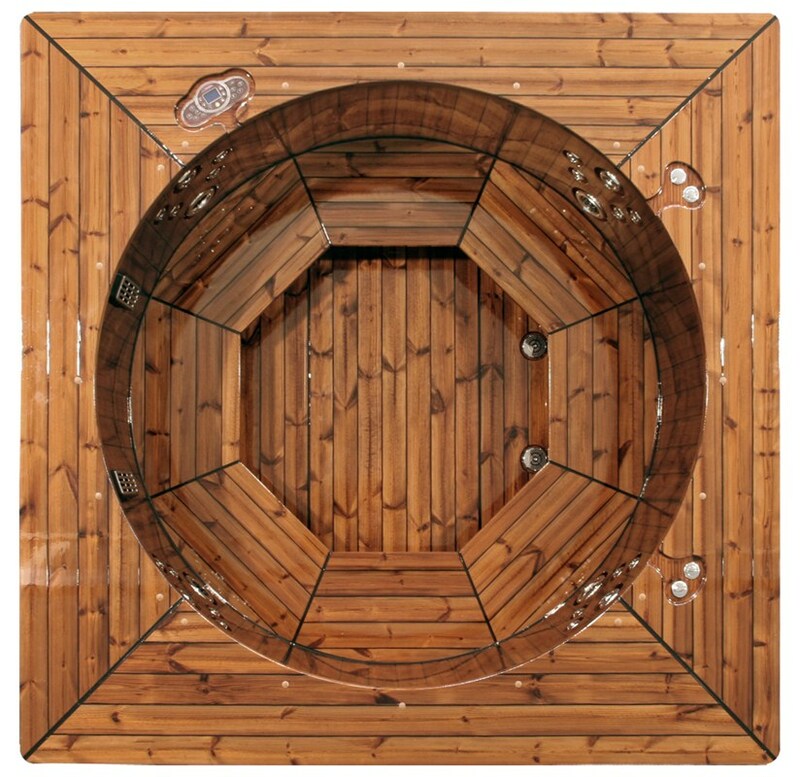 A great achievement of design, made in heat-treated pine and a transparent coating on the inner surface. 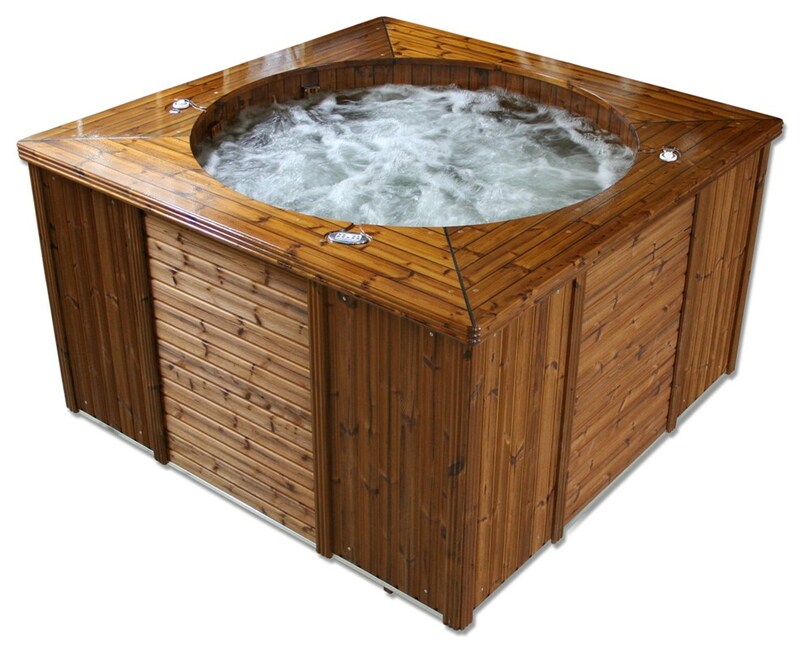 The AquaStar 180 is a luxurious hot tub made of heat-treated pine. 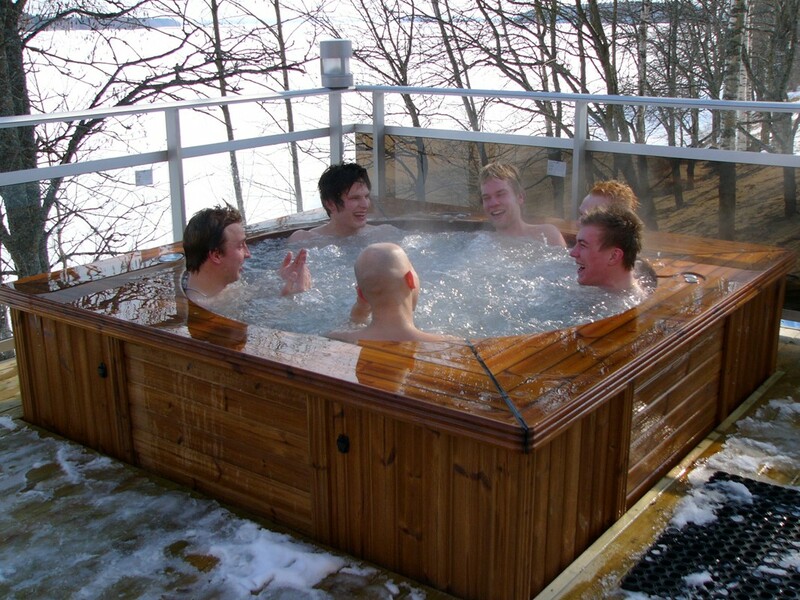 180 diameter on the inside with eight seats. The measurements of the outside are 210x210cm. 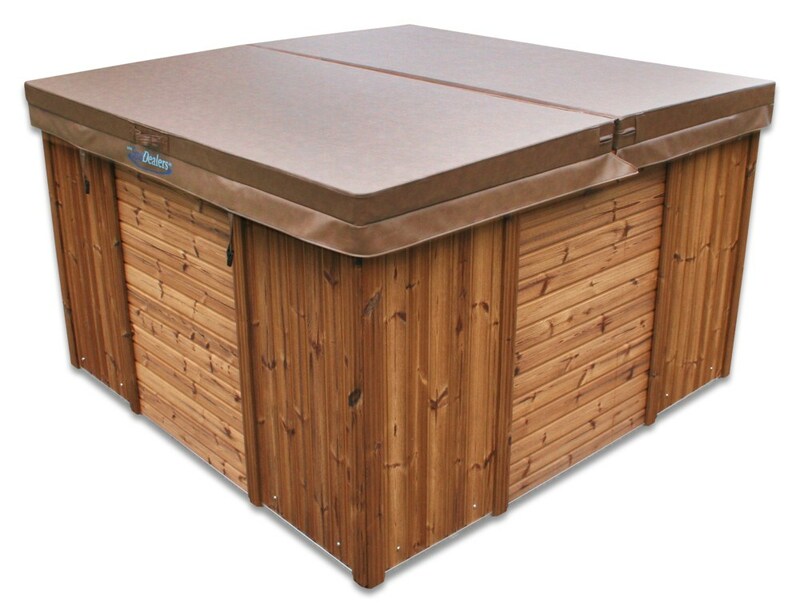 It includes an automatic filtration system, a bubble system, thermostatically controlled heater (3kW), an insulated cover. Four jet massage units are placed on the inside walls. 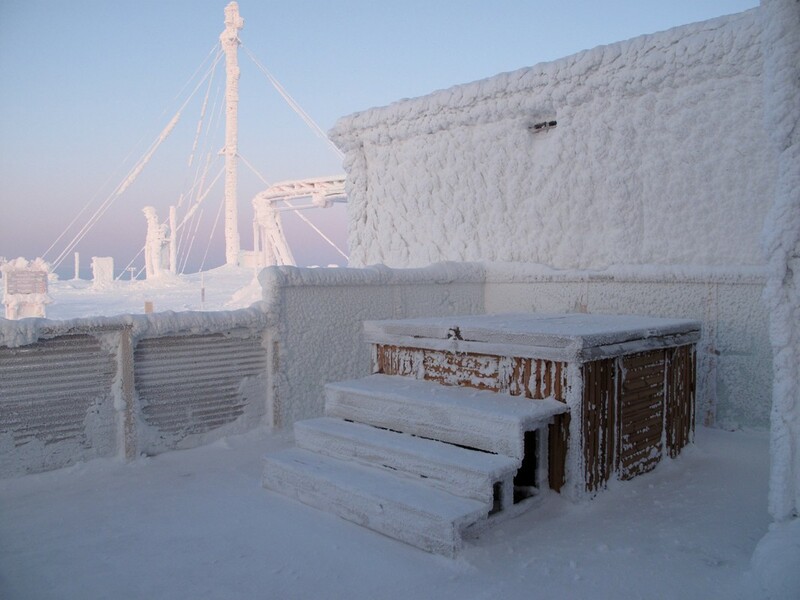 The inside walls, benches and the base have black fillings between the gaps of each stave and then the TubCoat (a transparent, elastic coating) has been applied on top of that which gives the finnishing touch. 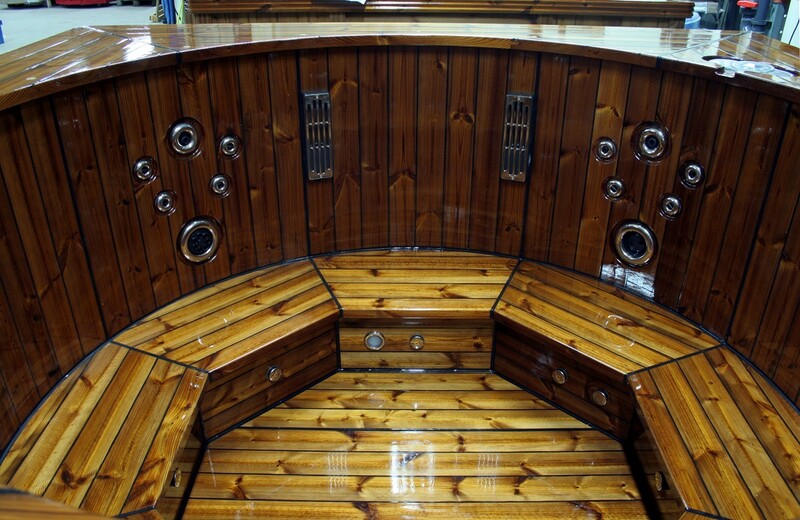 Its appearance gives the impression of boat decks made of teak. The TubCoat provides a durable surface which makes it easy to keep clean. The same technique has been used for the wide square-shaped rim. An accessory which can be added if requested is the underwater lightning. It is easy to drain water via the plug hole. Led-lightning, which can change colours automatically or just simply lightning with only white light can be chosen as an accessory. You might also find AquaStar 150 to be of interest.